The ultra-quiet DN61039W is an A+++ energy rated 15 place White dishwasher with 10 programmes, that runs at an almost silent 39dBa and comes with a special Microban filter to help eliminate harmful bacteria, helping to keep your dishwasher fresh and clean. Your Servis Quartz Dishwasher is whisper quiet so you can wash whenever you want without worrying about being disturbed. This machine has even been awarded Quiet Mark status; confirmation of just how little noise it makes. 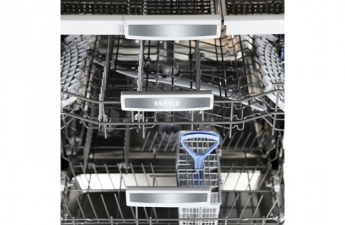 At Servis we know that there's nothing more frustrating than items that won't fit into your dishwasher. That's why we've made sure that this Crisp White Servis Quartz Dishwasher has fully adaptable space inside. With capacity for 15 place settings, one touch height adjustment, and a cutlery tray that can be either fully or partially removed you'll never be stuck for dishwashing space again. Your Servis Quartz Dishwasher comes with an innovative Duo Wash system. An intensive wash on the lower shelf is perfect for getting rid of hard to shift grease whilst at the same time a delicate wash on the upper shelf takes care of your glasses. No more need for separate washes, saving you time. 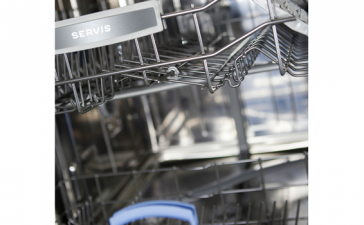 Your Servis Quartz Dishwasher doesn't just have a half load cycle for when you don't have enough dishes for a full load. It also comes with Smart Wash and Eco Wash programmes that sense your dishwasher's load and adjust the water used. All designed to save water, energy and money features highlighted by this machine's A+++ energy rating. 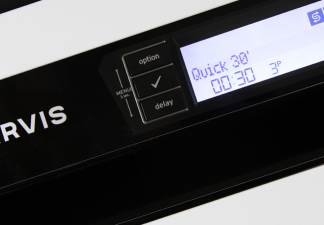 This dishwasher has 10 separate programmes including a 30 minute quick wash - handy when unexpected visitors arrive - and a Super 50 programme that delivers outstanding 65ºc cleaning in just 50 minutes. And when you need your dishes super clean our Extra Hygiene programme helps eliminate harmful bacteria. 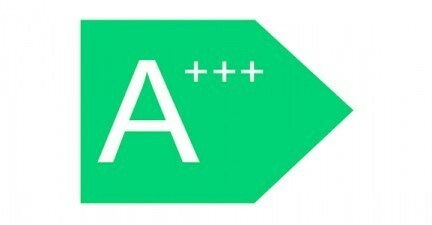 The new Microban filter (easily recognisable in green antibacterial material) means that bacterial growth in your DN61039W dishwasher filter is reduced by up to 99.9% - meaning a cleaner and more efficient machine. 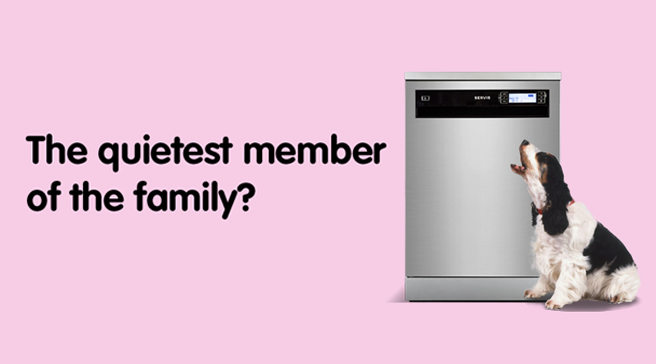 This is a virtually silent dishwasher that runs at 39dB - that's about as loud as a whisper. 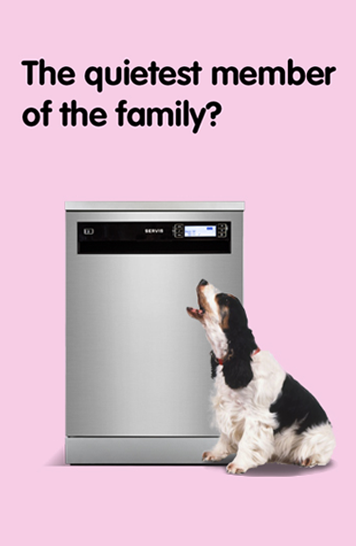 A quiet dishwasher means that you don't need to worry what time of day you run it or whereabouts in your house it is. 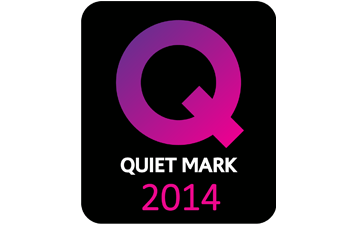 The Servis Quartz Dishwasher has been awarded Quiet Mark status which recognises low noise machines. 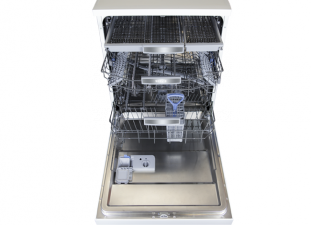 The Servis Quartz Dishwasher comes with a hydraulic system that enables split level washing. Intensive cleaning suitable for heavily soiled can take place on the lower shelf, meanwhile a more gentle wash on the upper shelf helps protect more delicate items. 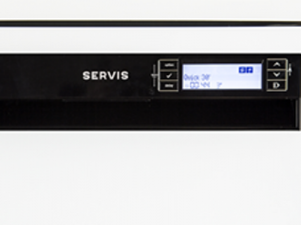 The space in this Servis dishwasher is designed to give you as many loading options as possible. A pull out third rack can be used for small cups or cutlery and even be removed to double as a drainer. 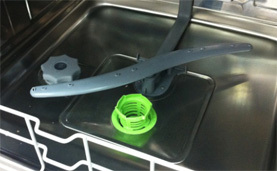 Foldable and removable trays and one touch height adjustment combine to make customising your dishwasher hassle free. A clean no-nonsense design combines with straightforward controls that make it easy to programme your machine. With a clear LCD display showing you the programme selected, you'll always be in control. The Servis Quartz Dishwasher has a A+++ energy rating telling you that this is one of the most energy efficient machines on the market. And when you save energy you save money.